ED presents a system to analyze a photo archive and bring it down to the essence through creating its smaller representative model. The system is based on a step-by-step analysis of the personal archive without the owner’s presence. By means of professional assessment and expertise, it becomes possible to approach the statement “less is more”. By exploring the photographic medium and willing to explore tendencies, which occur due to its growing importance, ED has come up with a research into the modern use of photography based on data from a private photo archive. The system is based on 4 steps. 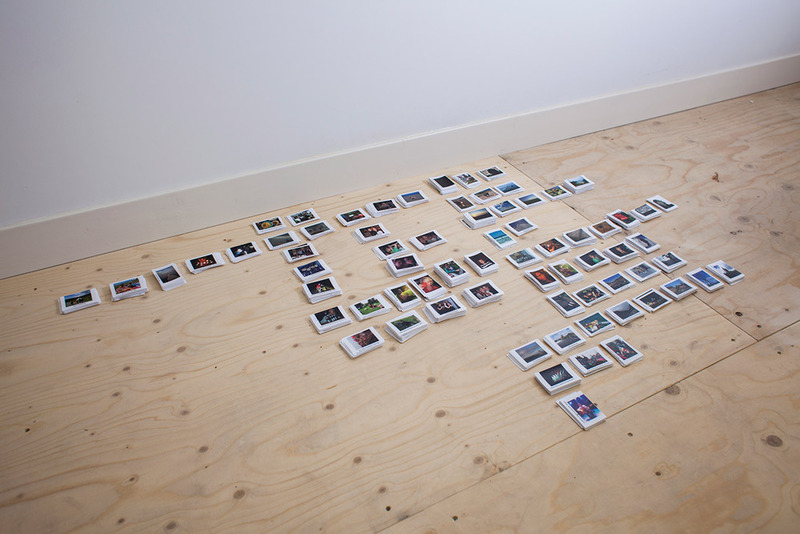 The private photo archive is unfolded, reordered and analyzed, following the structure and logic of this system. Mining consists of preliminary analysis. All the data has been gathered (the private archive of photos) but we have no information yet on the content of it. Basically, mining is performed to extract data from the archive and transform it into a comprehensible structure for further use. This step is about discovering patterns, looking for noticeable specifics and preparing for the next step. At this point, the editors get to know the Hero of the archive and learn about his specific way of using photography. Clustering consists of organizing the archive into clusters; smaller groups of which the photos share the same qualities or set of qualities. Depending on the content of the Hero’s archive, images are grouped into clusters. In this process particular patterns and regularities become visible and the archive gets divided, which gives us an overview of the way the Hero uses photography. There are more common (‘universal’) clusters such as family members, friends and animals, as well as more subjective clusters like sunsets, shadows, biking etc. Mapping is the step in which we aim to create a relevant representation of all established clusters on a conceptual model: a map. A map is built from the center, starting from the Hero. The distance between the Hero and the photos on the map is determined by their importance. Based on several parameters, such as the quantity of appearances and esthetic qualities, the photos are placed on the map. Once the map is ready and all the clusters and relationships are set, it is possible to start with the final step of editing. Selection is done based on the distance between the Hero and other elements placed on the map. The smaller the distance, the bigger the chance for an image to become part of the final selection. There are several requirements for the image in the final edit. Formal qualities are considered as important, as is emotional value. The selection starts from the outside, removing irrelevant images on the map, and slowly works towards the center where the Hero is situated. When done right, selection results into a set of photographs that can represent the original archive without losing its content. This is a brief description of the system we developed in order to edit an archive and edit it down to a few representative images. This explanation provides the gist of the method we have developed. For more detailed information we recommend reading the book in which the entire system is explored based on a real archive. If you would like us to inform you about our progress, please contact us or subscribe to our newsletter.